Some firms will go bankrupt meaning all workers lose their jobs. In an effort to reduce costs, firms will cut back on hiring new workers. Therefore, unemployment often affects young people the most. 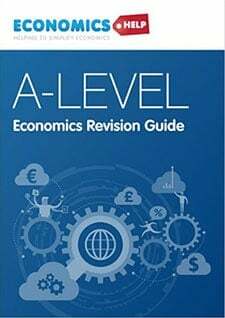 In this recession, unemployment in the UK has risen to over 2.6 million, though given the depth of the recession, you might have expected it to be even more (e.g. in 1980s, unemployment rose to over 3 million). 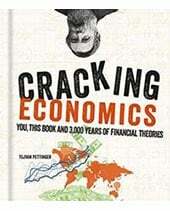 However, in Europe, many countries in recession have seen a catastrophic rise in unemployment. With rates of over 20% in countries such as Greece, Spain and Portugal. 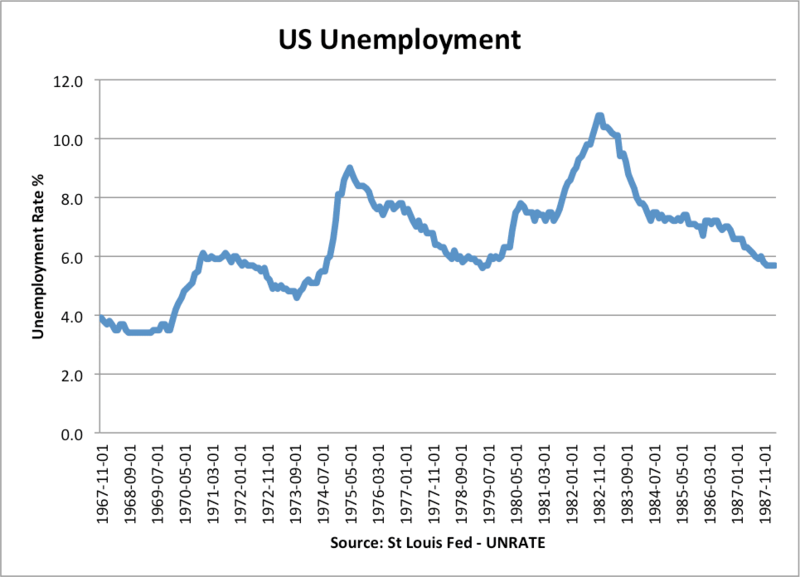 US unemployment. The rise in unemployment indicates recessions of 1975, 1982. 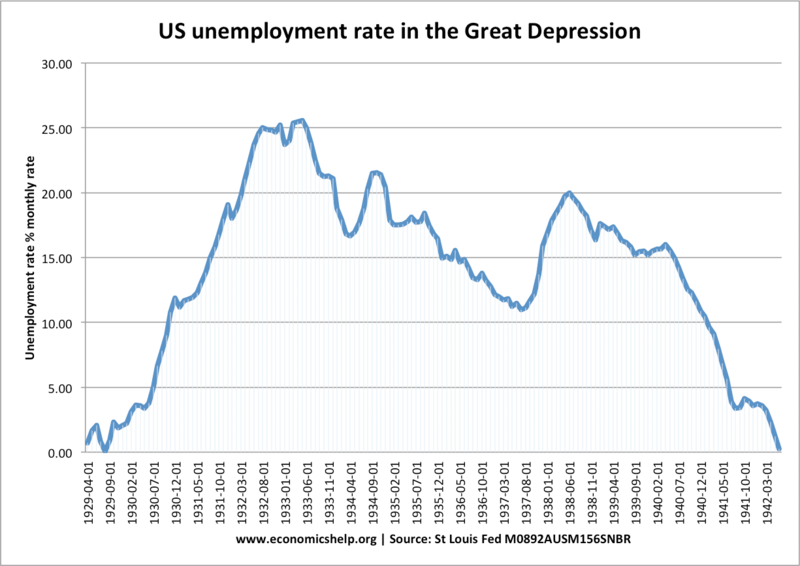 It also shows how a recession can lead to a rise in structural unemployment (hysteresis effect). 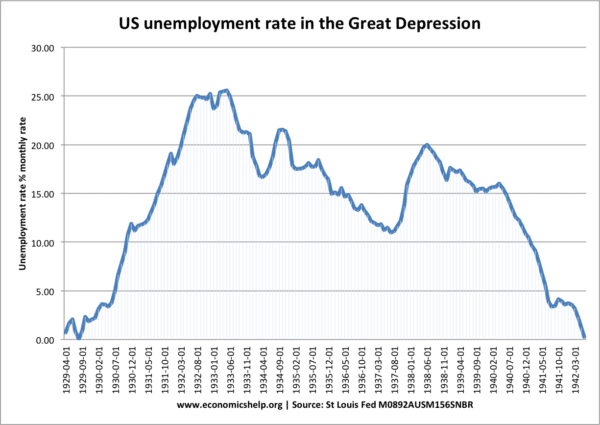 In the great depression, where there was a rapid fall in GDP, unemployment rose from 0% to 25% within three years. In a recession, firms will also try to reduce costs by keeping wages low. Some workers (especially temporary workers without contracts may see wage cuts) This was a key feature of the 2008-12 recession, also aggravated by rising costs of living. 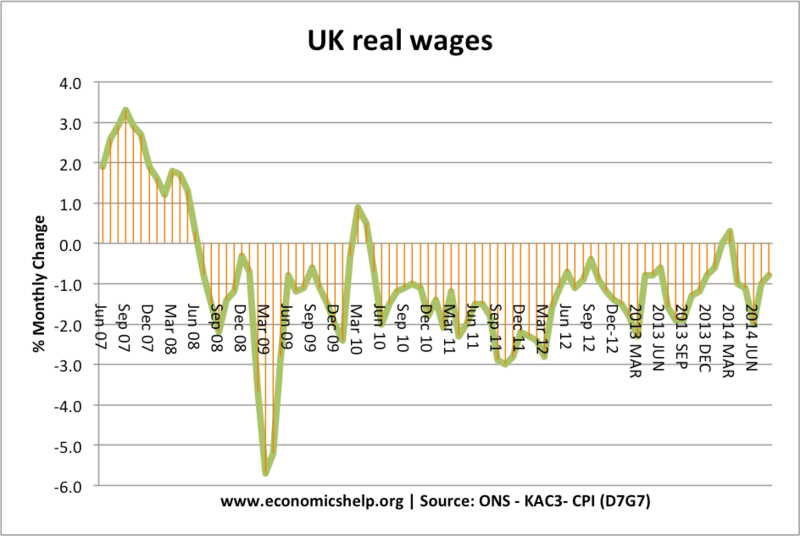 With cost-push inflation, nominal wages haven’t kept pace meaning UK workers have seen substantial cuts in their real wages. Another cause of lower wages is under-employment. Some workers may keep their job, but see their hours cut. Rather than working full time, they become part-time workers (e.g. 20 hours a week). This means that the rise in unemployment may be muted, but many workers see substantial falls in effective income. Governments will see a fall in tax revenue as a result of a recession. Lower expenditure, leading to lower VAT payments. E.g. in Greece during 2011, VAT Revenues fell 18% simply because 60,000 business and small business have gone bankrupt since the summer. Rising government spending on welfare payments, such as unemployment benefits, housing benefit and income support. 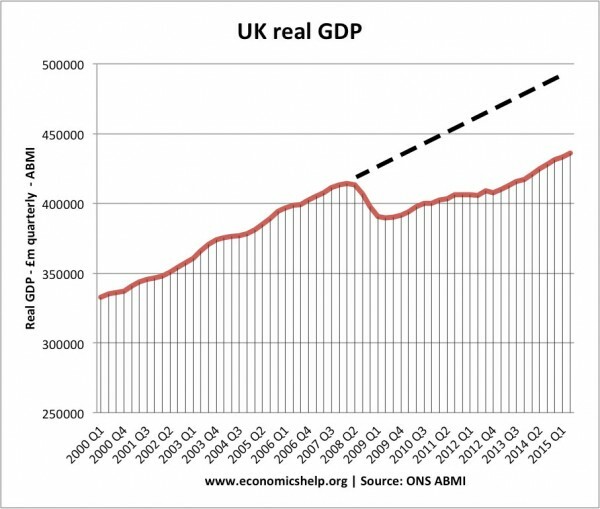 Because of falling tax revenues and rising welfare payments (automatic fiscal stabilisers) a recession tends to cause an increase in the budget deficit, and total government debt. Many countries saw a sharp rise in the budget deficit post 2008 credit crunch because they relied on tax revenues from property and the finance sector. The fall in the property market hit tax revenues harder. VAT receipts tend to be less cyclical. Discretionary Fiscal Stabilisers. 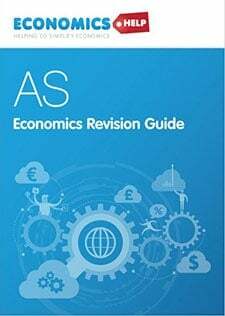 A budget deficit may also increase because the government decide to pursue expansionary fiscal policy and attempt to stimulate economic activity. Usually, in a recession, government bond yields fall. This is because in a recession, saving tends to rise and people demand the security of bonds. This happened in US and UK between 2008 and 2012. 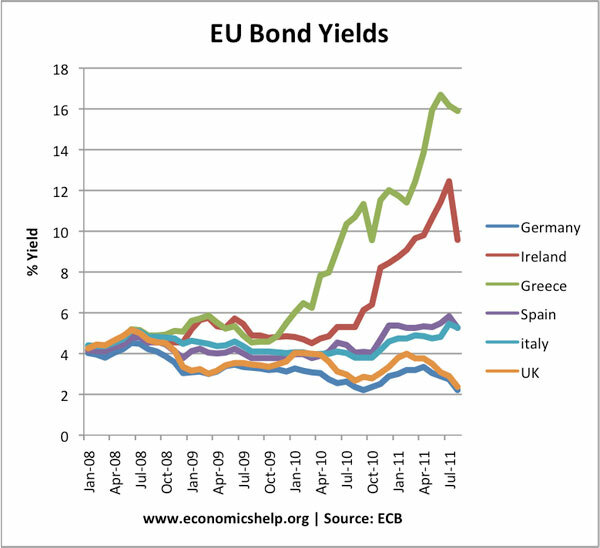 However, in the Eurozone, recession aggravated and worsened their bond markets. The depth of the recession meant tax revenues were falling dramatically. Markets felt that the scale of the recession meant that the debt to GDP ratios were rising at unsustainable rates. Diverging bond yields showing that recession could cause both rising bond yields and falling bond yields. 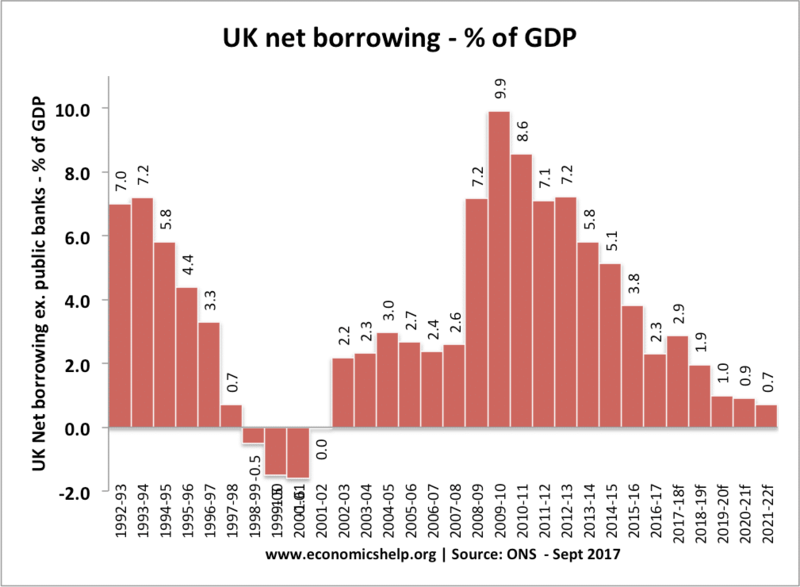 Even attempts at austerity – cutting government spending failed to appease the bond markets. Further austerity caused a deeper recession – and the twin burden of falling GDP and falling tax revenues. A prolonged recession doesn’t always cause a rise in bond yields (e.g. Japan has higher debt, long recession and low bond yields) A recession can definitely aggravate a debt crisis and make it unsustainable. However, there need to be other factors as well. 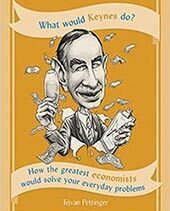 A recession leads to lower investment and therefore can damage the long-term productive capacity of the economy. 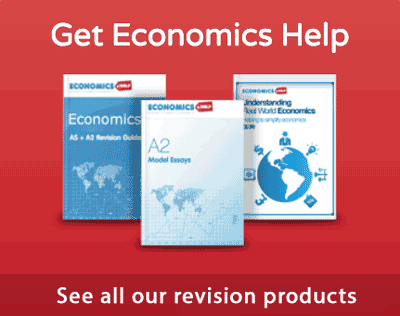 If the recession is short, this lost output may be quite limited – economies can bounce back. But, in a prolonged recession, this lost output becomes greater. Unemployment can leave lasting negative impacts. Firstly, unemployment is very stressful and can damage the person’s morale, and even health. Areas of high unemployment tend to experience more social problems. High unemployment can be factors in creating social instability such as riots. Mass unemployment can threaten the social fabric of the countries. The unemployed lose the opportunity to gain skills and on-the-job training. Long-term unemployment can make it harder for the worker to gain a job in the future; it can even cause people to give up and drop out of the labour market completely. Firms will see a fall in demand and lower profits. Some firms may start to make a loss and go bankrupt. This may be due to fundamental inefficiency but also firms may go out of business purely because of the cyclical factors and an inability to borrow sufficient firms to see the end of the recession. A recession will hit some firms more than others. In a recession, there is large fall in demand for luxury goods (foreign holidays) top end sports cars and so these firms will be more vulnerable. ← What happened to the Spanish Gold from the Incas?